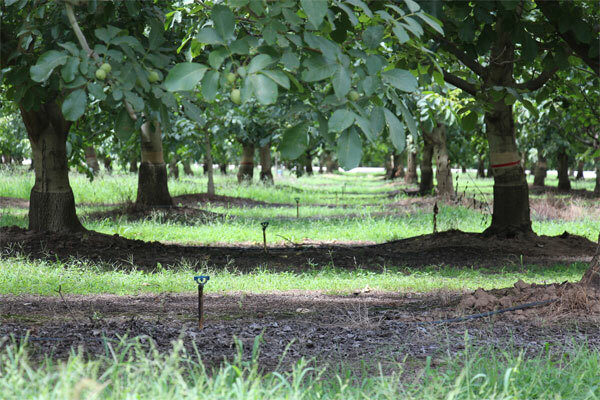 When selecting a tree from an irrigation block, choose a tree that is a good representative of the block. Choose a tree that is in good condition. The tree should be at least 3-4 rows from the outside of the orchard. This will ensure a good representative of the irrigation block. Trees on the edge of the orchard normally have additional stress on them due to more exposed canopy. 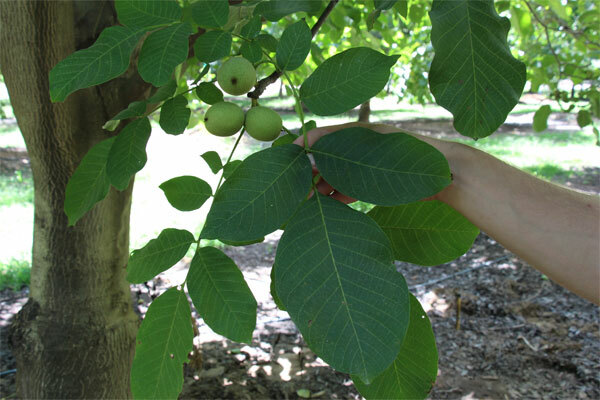 Select a leaf from the lower canopy and close to the trunk of the tree. The leaf should be on the shady side of the tree. Should be an established limb, not new growth. A terminal leaf as shown in the picture below is a good sample as it has no holes, rot or problems. 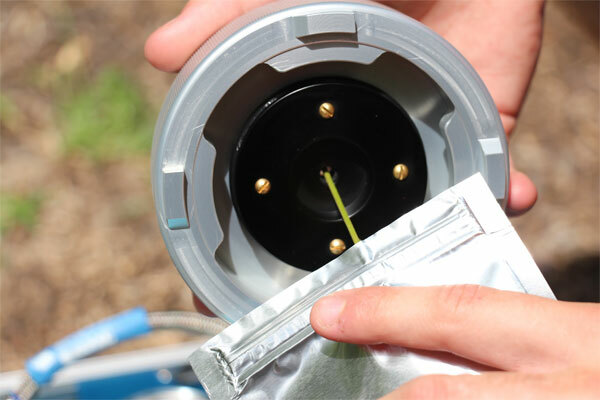 Place the leaf into a Stem Water Potential Bag. Close the top of the bag. The bag should stay on the leaf for at least 15 minutes. 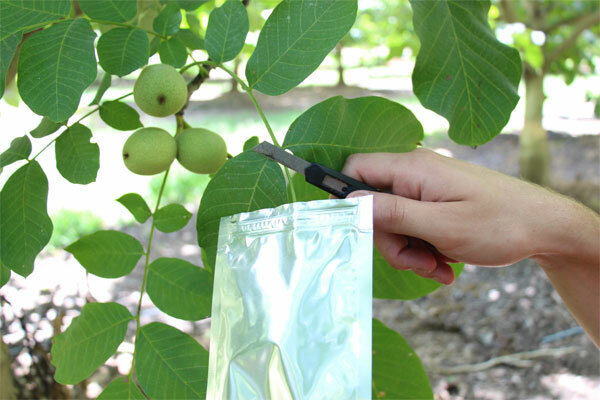 You can go throughout the whole orchard and put on all the bags first, then come back and make the readings. 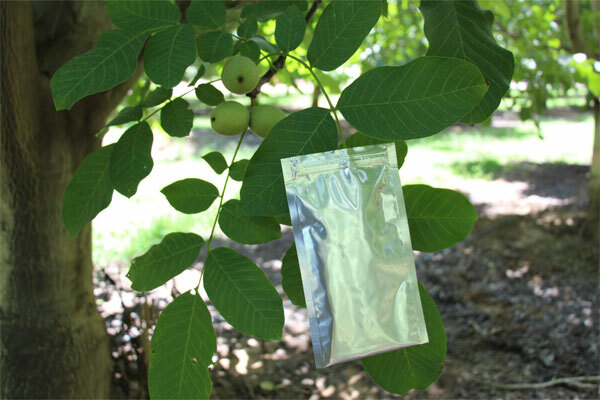 It is OK to put the bags on earlier in the morning and then come back for sampling in the afternoon (12:30-2:30 PM Pacific Time) – Normally 1 or 1.5 hours each side of “solar noon”. 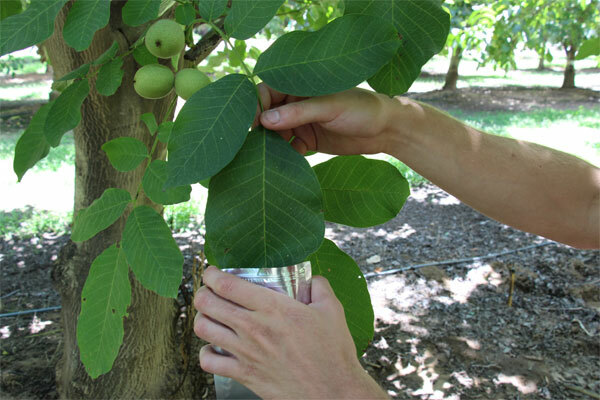 Using a knife or razor blade, cut the petiole (stem) of the leaf. 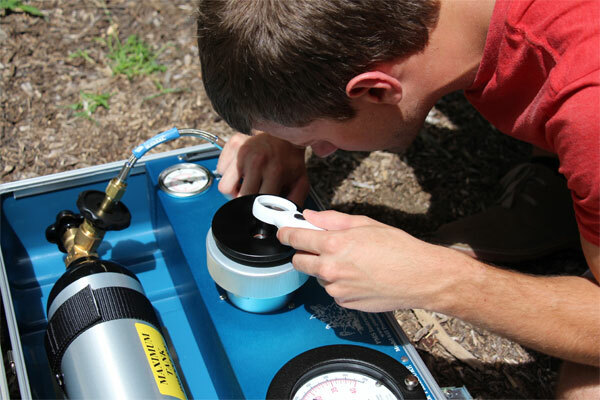 The Pressure Chamber should be ready to move the sample immediately into the chamber. 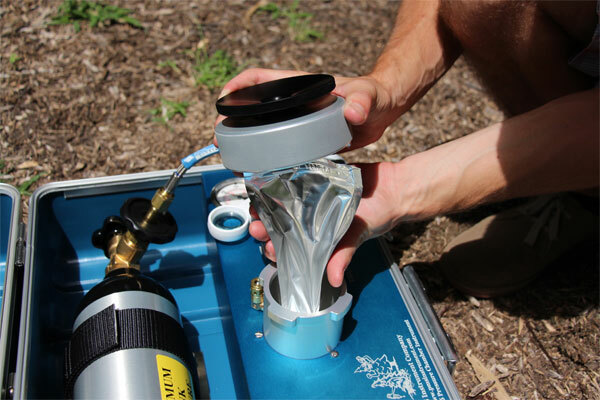 Slide the petiole into the bottom of the chamber. 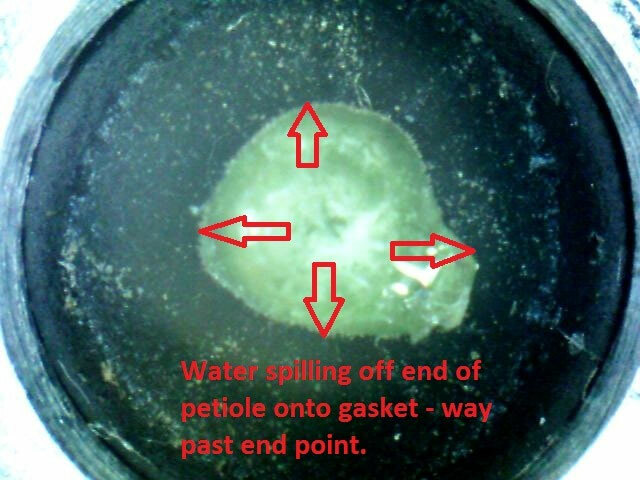 Tighten the petiole in place by twisting the “Compression Gland Ring” clockwise and tightening the gasket down onto the petiole. Place the leaf and bag together into the chamber. It is OK to roll and bend the bag/leaf. Try not to crease the leaf. Push down on the lid and turn the lid to the locking position. The Rate Valve should be set already at a rate of 1/2 bar per second or less. For measurements that are in the 2-6 bar range, it is normally best to set it at about 1/4 bar per second to ensure you do not overrun the end point. 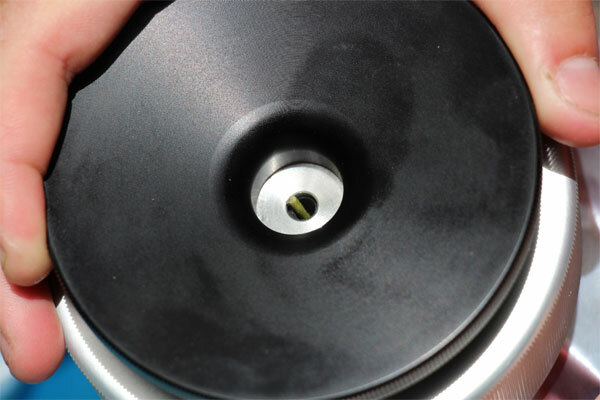 Turn the “Control Valve” to the Chamber position. Watch the end of the petiole (stem) for water to come out. This is a close-up look at the cut end of the petiole. 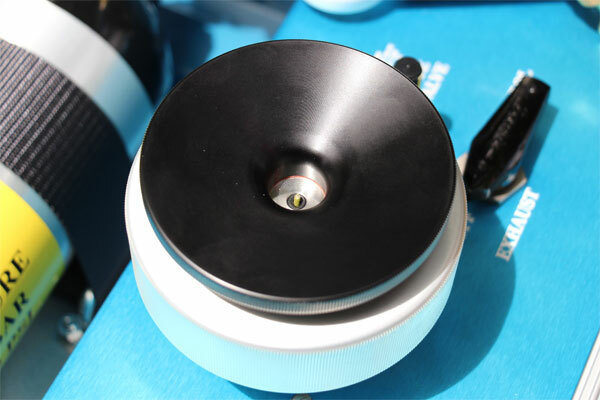 It is a 50X view with an electronic microscope. 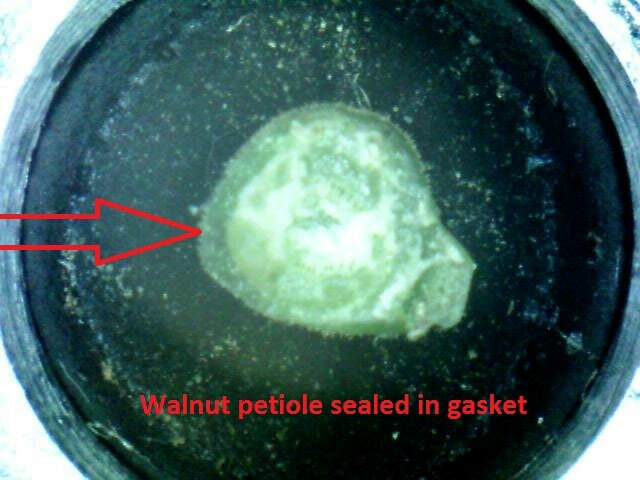 Watch the inner 80% of the petiole as this is where the xylem cells are located on walnut. Look for water to begin coming to the cut surface. There will be a change of color in the xylem from light green to dark green. Water is just beginning to form where the red arrow is. This is the “official” end-point for the measurement. When water is seen coming up, there will be a change in color and water will flow. You should immediately shut off the Control Valve at this moment. This is the official end point. If you maintain the pressure on the leaf, water will begin to form in a droplet. If you allow the pressure to continue, you will be technically past the end point and water will being for form a droplet on top of the cut end of the petiole. Water is now spilling off the end of the petiole. If you feel you might have gone too far and did not properly record the end-point. Release just a little bit of the gas from the chamber (1-3 bar) and watch the end of the petiole. The water should recede back into the petiole. 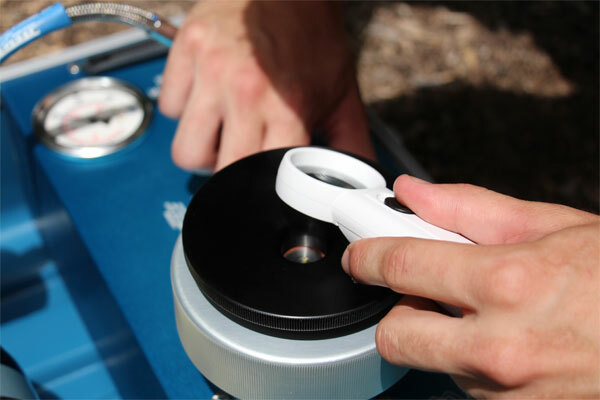 You can then re-pressurize the instrument and watch more closely the second time. This will not effect the reading if done immediately. If you wait, the stress will begin to build in the leaf since it is not connected any longer to the tree. 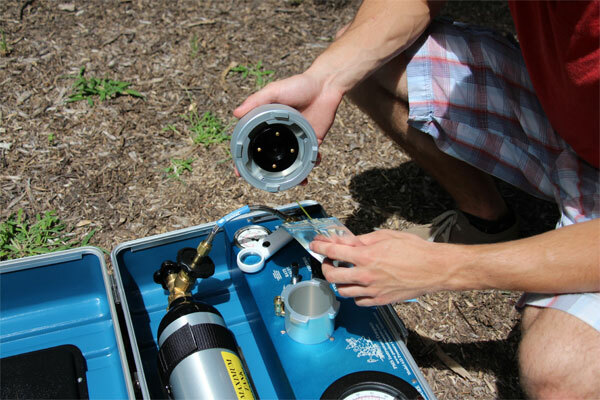 Using the Pressure Chamber for Irrigation Management in Walnut. UCCE contributors: Allan Fulton, Richard Buchner, Joe Grant and Joe Connell. ANR Publication 8503. May 2014. 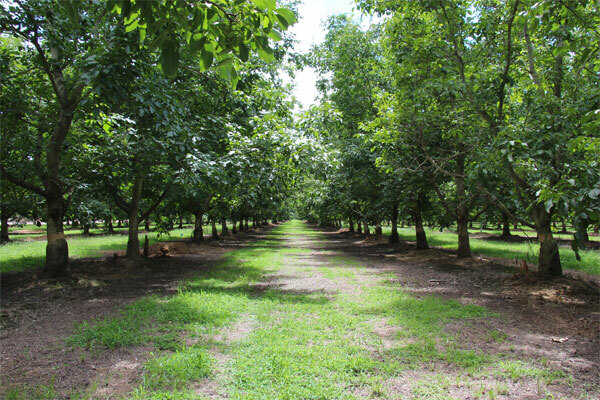 Our sincere thanks to Crain Walnut Shelling for allowing us access to their orchard for this pictorial and video!